Ed Lazowska holds the Bill & Melinda Gates Chair in the Paul G. Allen School of Computer Science & Engineering at the University of Washington, and is a Senior Data Science Fellow in the University of Washington eScience Institute. Lazowska received his A.B. from Brown University in 1972 and his Ph.D. from the University of Toronto in 1977, when he joined the University of Washington faculty. Lazowska’s research and teaching concern the design, implementation, and analysis of high performance computing and communication systems, and, more recently, the techniques and technologies of data-intensive discovery. Twenty two Ph.D. students and twenty three Masters students have completed degrees working with him. (See a Ph.D. family tree as of August 2010 here.) In recognition of his research accomplishments Lazowska has been elected a Member of the National Academy of Engineering (he was elected a Councillor of NAE in 2018); a Fellow of the American Academy of Arts & Sciences; a Fellow of the Association for Computing Machinery, the Institute of Electrical and Electronics Engineers, and the American Association for the Advancement of Science; and a member of the founding class of the Washington State Academy of Sciences. In addition he has received the Vollum Award for Distinguished Accomplishment in Science and Technology from Reed College. Lazowska’s national leadership activities include serving as Co-Chair (with Marc Benioff) of the President’s Information Technology Advisory Committee (2003-05), Co-Chair (with David E. Shaw) of the Working Group of the President’s Council of Advisors on Science and Technology to review the Federal Networking and Information Technology Research and Development Program (2010), Chair of the Computing Research Association (1997-2001), Chair of the NSF CISE Advisory Committee (1998-99), Chair of the DARPA Information Science and Technology (ISAT) Study Group (2004-06), and Founding Chair of the Computing Community Consortium (2007-13), as well as serving on a large number of National Academies study committees. 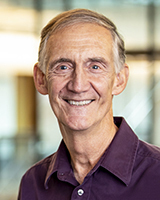 In recognition of his national leadership Lazowska has received the Computing Research Association Distinguished Service Award, the ACM Presidential Award, and the ACM Distinguished Service Award. A long-time advocate for increasing participation in the field, Lazowska serves on the Executive Advisory Council of the National Center for Women & Information Technology, and on the National Academies Committee on Women in Science, Engineering and Medicine. He recently served on the National Academies study committee on sexual harassment in academia. He received the University of Washington Outstanding Public Service Award for his K-12 outreach activities, the University of Washington David B. Thorud Leadership Award for his institutional leadership activities, and the University of Washington Computer Science & Engineering Undergraduate Teaching Award. Lazowska serves as a board member or technical advisor for a number of high-tech companies, venture firms, and technology-oriented civic organizations. He is a member of the Board and Executive Committee of the Washington Tech Industry Association, and until recently the Tech Alliance of Washington and the Washington State Academy of Sciences. Lazowska served as Chair of University of Washington Computer Science & Engineering from 1993-2001, a period during which its stature increased significantly. Along with Tom Alberg (Managing Director of Madrona Venture Group) and Jeremy Jaech (CSE alumnus and co-founder of Aldus and Visio) he led the fundraising campaign for the Paul G. Allen Center for Computer Science & Engineering, which was dedicated in 2003; along with Brad Smith (President of Microsoft) he led the fundraising campaign for an additional building, the Bill & Melinda Gates Center for Computer Science & Engineering, which was dedicated in 2019 and provided the space for the Allen School to double its enrollment. Lazowska was the Founding Director of the University of Washington eScience Institute (2008-17), and was the Founding Chair of the Computing Community Consortium (2007-13). He spent 1984-85 on sabbatical at the DEC Systems Research Center and Stanford University, and 2001-02 on sabbatical at the University of California, San Diego.